The 6th Project meeting and Steering Group of the MITOMED+ project was held on 18 January in Florence by the Tuscany Region, with the help of ANCI Toscana and CNR-IBIMET. The partners involved discussed the project’s progress and next steps, and met with Tourist Destinations owners who presented the progress of the implementation of the project’s pilot 2 (“green beach model”). This meeting marked a crucial moment in the development of the project due to the upcoming switch from the testing to the transferring phase. During the testing phase, which is still ongoing, pilot actions are being implemented for improved management of coastal touristic areas. The new phase of transferring will run from April to the end of October. 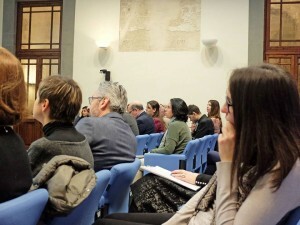 Turismo Andaluz, which is a partner of MITOMED+, presented the last version of the online platform tool, which will ease the potential connections with other projects and activities by being open to other users. Each tourist destination identified during the transferring phase will be able to access the platform and compare its data with those of the pilot destinations. 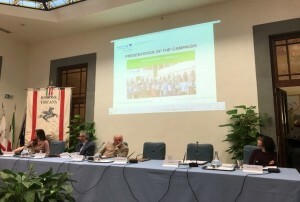 A campaign to widen the transferring phase was launched within NECSTouR CPMR-IMC’s networks last November. This has already created interest among several new Regions that will potentially be able to involve some of their tourist destinations. MITOMED+’s next meeting is a dissemination event taking place on 5-6 April in Malaga (ES). This gathering will involve selected tourist destinations by giving them the opportunity to take part in the webinar on the set of indicators and the online platform. Testing and transferring activities will lead to a more informed decision-making in the field of Maritime & Coastal tourism in the partner’s regions. The main results of the transferring phase will be taken into account in the capitalisation phase, led by the CPMR-IMC through their mainstreaming into regional / national policies and their extension to other MED and EU regions. For further information, please contact Emmanuel Maniscalco: emmanuel.maniscalco@crpm.org & Flora Leroy: flora.leroy@crpm.org.